Richard Gutierrez officially singed a contract deal on ABS-CBN network, soon to appear on upcoming series La Luna Sangre. Richard Gutierrez, a GMA talent, has transferred to ABS-CBN. The 33-year-old actor had his contract signing with the Kapamilya network on Wednesday, May 31, 2017. Present at his contract signing deal are ABS-CBN COO for Broadcast Cory Vidanes, Star Creatives COO Malou Santos, Finance head for Broadcast and News and Current Affairs Cat Lopez, and talent manager Annabelle Rama. 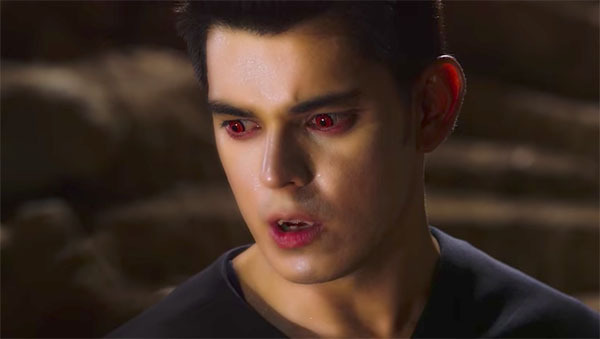 Meanwhile, Richard Gutierrez is set to star in ABS-CBN upcoming horror action fantasy drama television series La Luna Sangre. Gutierrez will play the role Sandrino, king of vampires. La Luna Sangre stars Daniel Padilla and Kathryn Bernardo. Angel Locsin and John Lloyd Cruz are also set to appear on the new series. What can you say about Richard Gutierrez’s transfer to ABS-CBN? Share thought below!